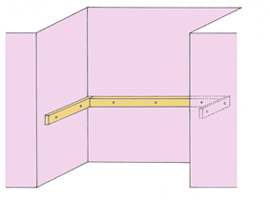 In alcoves a very strong and cheap method of fixing shelving is to use wooden battens cut to size instead of brackets. 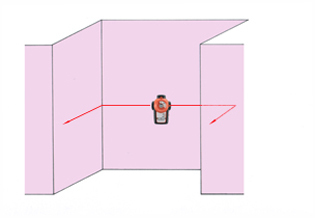 Mark around the alcove with your laser to get a level line. Cut the wooden battens to size and drill clearance holes(with a wood bit) where you will be screwing through to attach to the wall. Position each batten where you have marked round the alcove then mark through the holes onto the wall. You may need to trim the end of your pencil thinly to get through the holes. 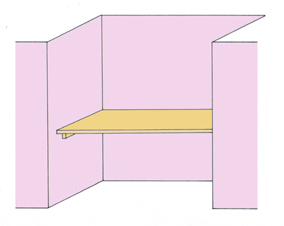 Place the shelf on top. They should sit nicely on top but you may also like to screw the shelf to the batten from above.